Super Week Kicks Off This Weekend! Come Downtown this weekend and start your summer off right! Super Week in Downtown West Chester begins tomorrow, June 1, 2013. 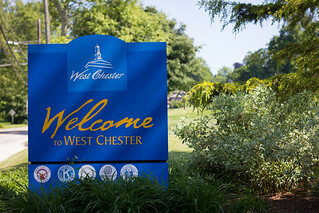 Click here to see details of all the events and attractions featured in and around West Chester from June 1st till June 8th. Below is a list provided by http://www.Downtownwestchester.com of this weekends events. West Chester Growers Market — 9:00am to 1:00pm at Chestnut & Church Streets. A locavore’s delight with truly farm fresh produce. Flea Market & Bike Sale — 9:00am to 3:00pm at the Borough Municipal Building parking lot. Find your treasure in this open air flea market. Free. Carmina Burana — 7:30pm at Madeline Wing Adler Theatre, West Chester University. The Brandywine Singers present Carl Orff’s famous Carmina Burana and Herbert Howells’ newRequiem. TheBrandywineSingers.org for ticket information. Longwood Gardens Wine & Jazz Festival — 12:00 to 5:30pm. Savor fine wines as you enjoy the sights and sounds of live jazz at the Brandywine Valley’s number one attraction. Furry Tales, 2pm — A children’s play by Joel Doty and presented by the West Chester Studio for the Performing Arts and Uptown Theater Alliance. Staged at the Chester County Historical Society. See show and ticket information. Middle Class & Second Class, 7:30pm — A play for young adults by Brad Slaight and presented by the West Chester Studio for the Performing Arts and Uptown Entertainment Alliance staged at the Chester County Historical Society. See show and ticket information. Joel Roberts — 9:00pm at The Note, 142 East Market Street. West Chester’s award winning songwriter performs originals in a personal, refective style. Doors open at 8:00pm. Super Sunday — 11:00am to 5:00pm along Gay Street. Downtown’s biggest street festival. Free for the entire family.